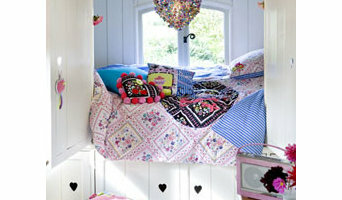 Kid's decor, wallpaper, bedding, gifts and clothes. Providing full Interior Design service for Kids rooms. Nuts for Bolts etc. is a fabric shop and online store in Alberta, Canada. 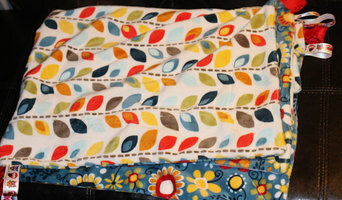 We sell trendy, designer fabrics, including Minky (also known as cuddle) fabric. We make and sell a variety of items in-store, including beautiful baby blankets and plushies complete with teething taggies, bean bag chairs for kids, and more. What does a Lacombe kids room and nursery designer do? Most designers who specialize in decor for kids’ rooms and nurseries will tell you that a child’s room isn’t just for sleeping in. Little ones need a space where they can learn, play and sleep safely. Furniture, blinds and even lighting have to work safely for both you and your little one. Whether you’re hunting for small or large brands, make sure you chat with your Lacombe, AB designer to make sure that what you buy meets safety requirements. To choose kids’ furniture that will stand up to the rigors of active play, look for high-quality furniture that meets Alberta standards. Make sure that each designer and manufacturer you work with is aware of any product recalls, dangerous materials and structural requirements. If you’re planning a larger project that goes beyond products, you might need to reach out to other qualified professionals for help. Here are some related professionals and vendors to complement the work of kids & nursery: Artists & Artisans, Furniture & Accessories, Interior Designers & Decorators. Find kids’ room and nursery professionals on Houzz. Narrow your search in the Professionals section of the website to Lacombe, AB kids’ room and nursery designers. You can also look through Lacombe, AB photos to find a room you like, then contact the designer who worked on it.